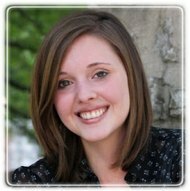 Saint Louis Therapist: Rachael Carr - Therapist 63118. Send A Message To Rachael. Seeking change in your life can be an immense challenge , one that is taken on by some of the bravest of individuals. Just making the choice to reach out for help is incredibly courageous! As a counselor, I am passionate about coming alongside you as you seek to find comfort, peace, and healing in the midst of the many difficulties that life can bring. From the moment you walk in my office, my goal is to provide you with a place where you feel safe to work through issues at your own pace, while experiencing both comfort and understanding. I strive to create an environment where clients can feel seen and heard without experiencing shame. Choosing to begin this journey can be intimidating and anxiety producing, but I know from my own experience that it can be well worth the risk. Whether you are struggling with depression, anxiety, grief, relational difficulties, or something else, I would be honored to walk with you in your journey! When I am not counseling, some of my favorite things to do are curling up to read a good book, taking my sweet dog for a walk in the park, and enjoying good food and great conversations with close friends.